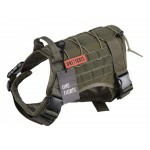 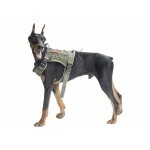 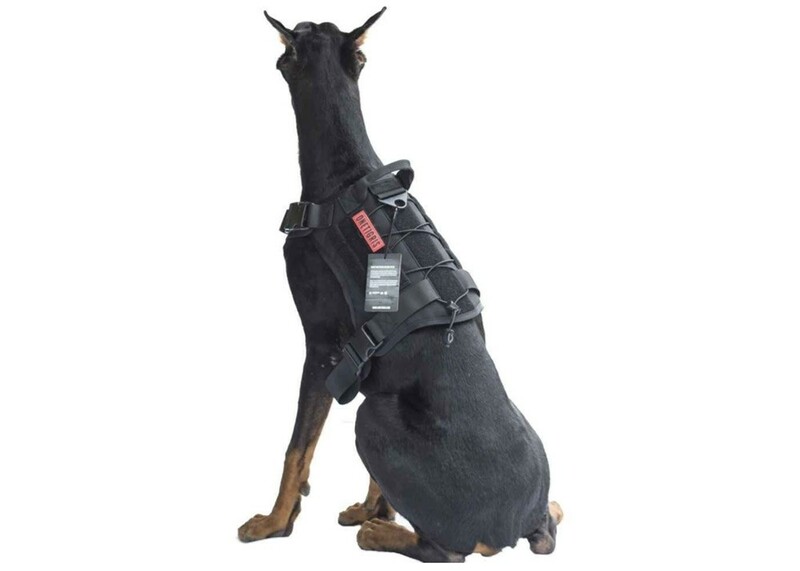 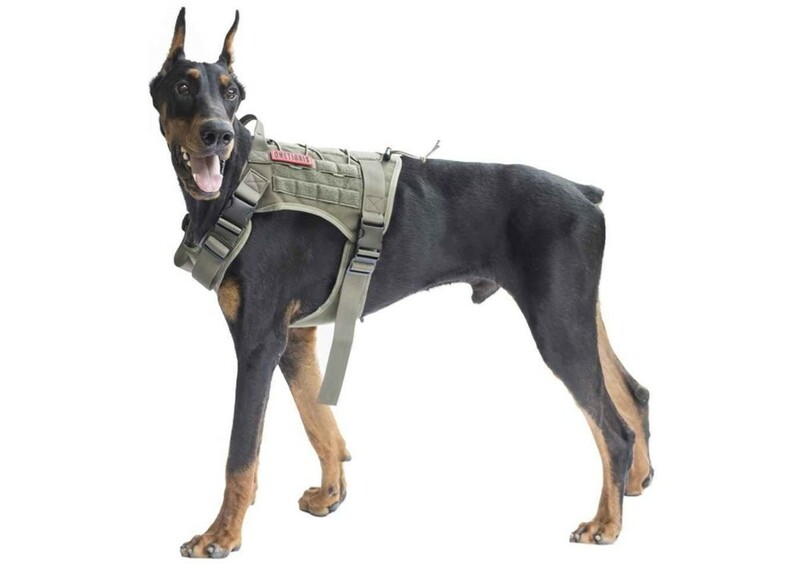 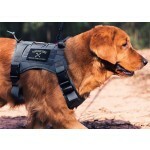 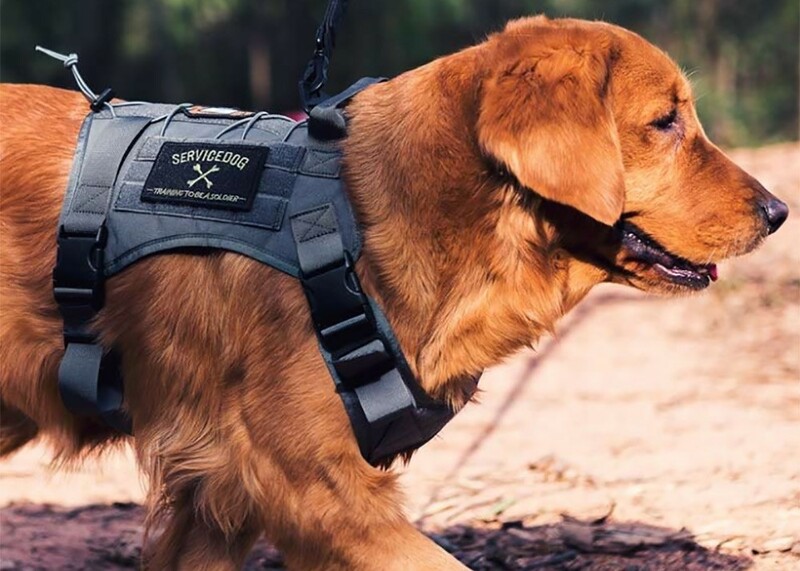 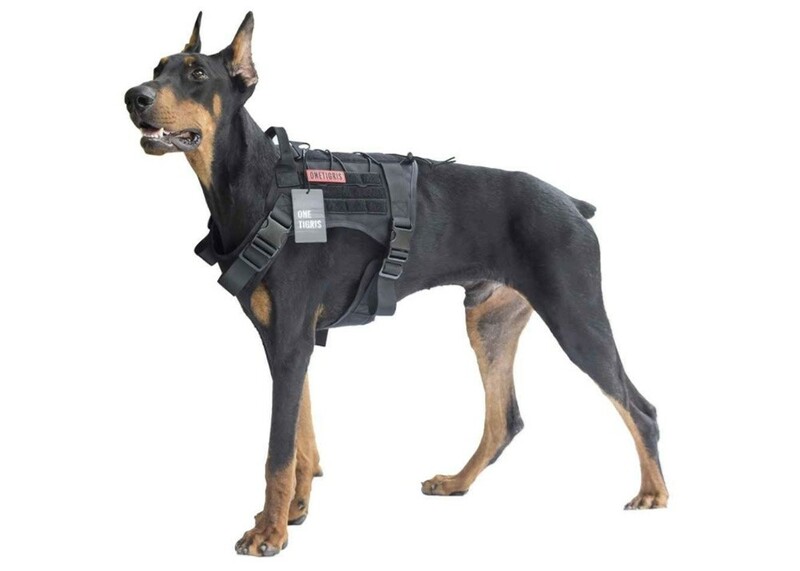 A tactical and stylish adjustable dog harness perfect for the Sky Track made with durable 1000D nylon, a control grip, a metal leash clip, and molle loop and snap system to carry bags for day trips. 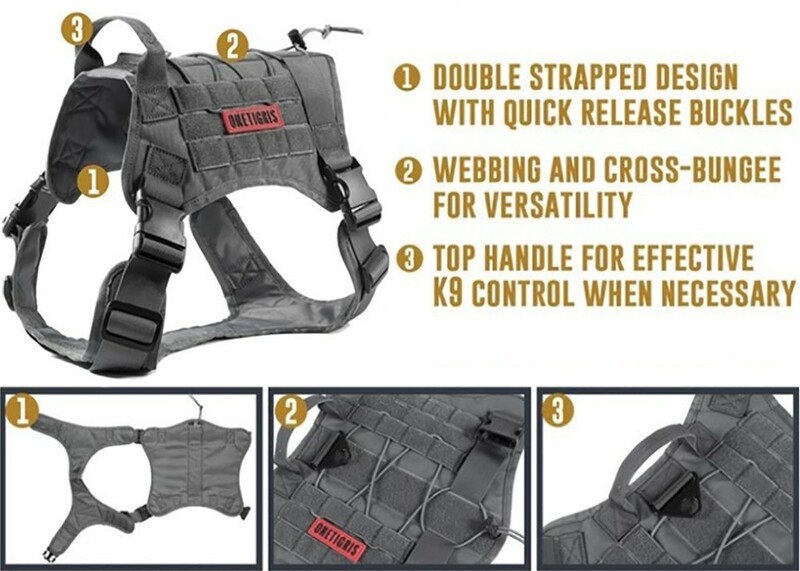 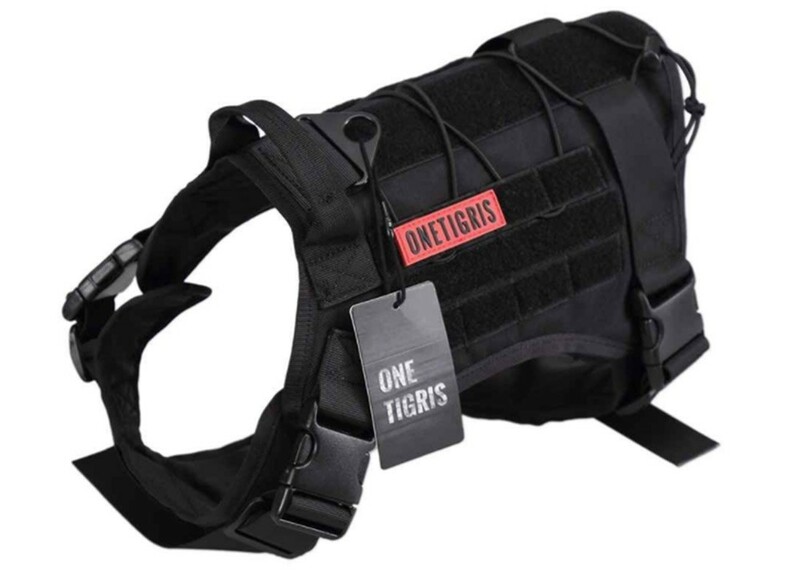 It features a light, soft padded, and water resistant material, ideal for wet and hot weather; bungee and velcro to attach gear and morale patches; and a 4-buckle-bellyband-design for easy removal. 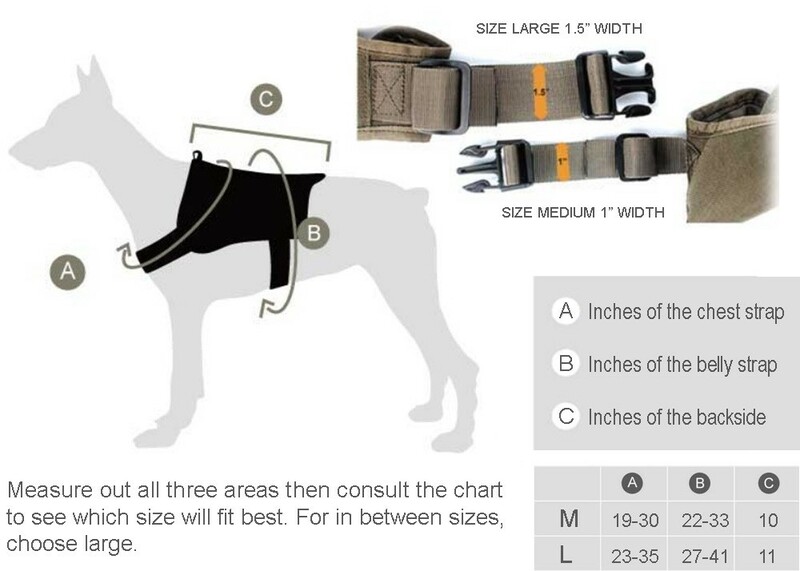 Use the chart in the images to measure your dogs dimensions to determine if you need the medium or large-size harness. 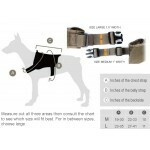 Choose the size below in the options area, which come in black and ranger green. 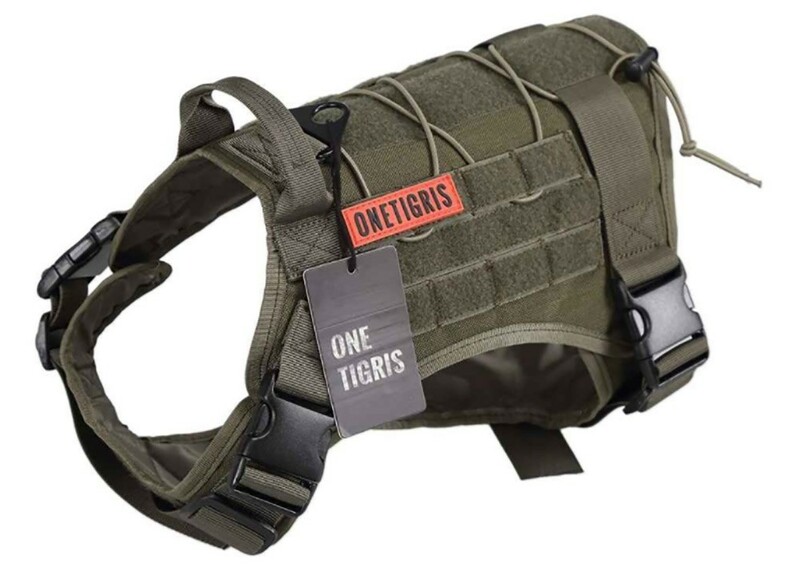 No small sizes for this product. 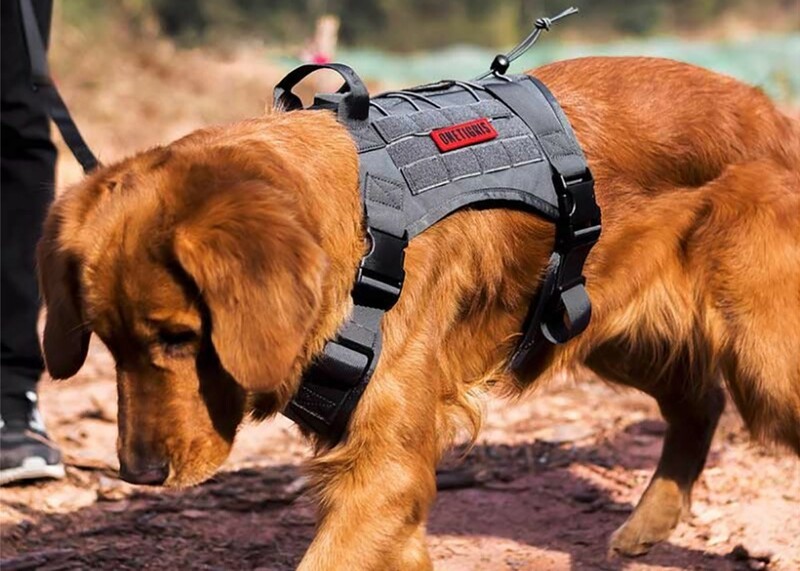 It takes a while to fit your dog correctly with the harness. 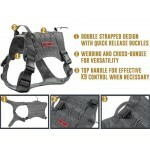 Its best to loosen all straps as much as possible, then tighten accordingly.